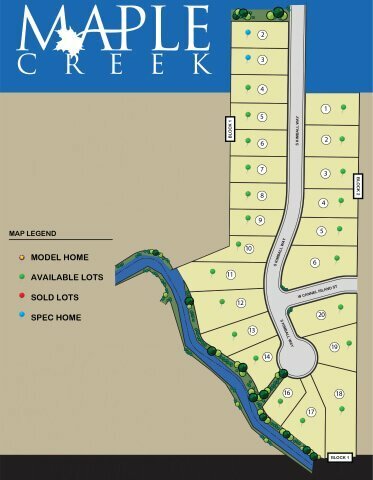 Maple Creek is a brand-new community of just 24 homes in South Boise, ID. Maple Creek homes for sale start in the $400's and feature interiors that include three or four bedrooms, up to three baths and approximately 2,200 to 2,800 square feet of living space. Located near Overland and Maple Grove Road, the Maple Creek subdivision is minutes from I-84 making commutes a breeze. The neighborhood is within two miles of shopping and dining including Boise Town Square Mall, Costco, and the Boise Spectrum Center for entertainment. From Overland Rd and Maple Grove Rd head west on Overland. Turn left (south) at Kimball Pl, Boise, ID 83709. Now Accepting Reservations - For the best selection of homesites in Maple Creek, call our Boise new home specialists at (208) 391-4466 or Click Here to email us today.